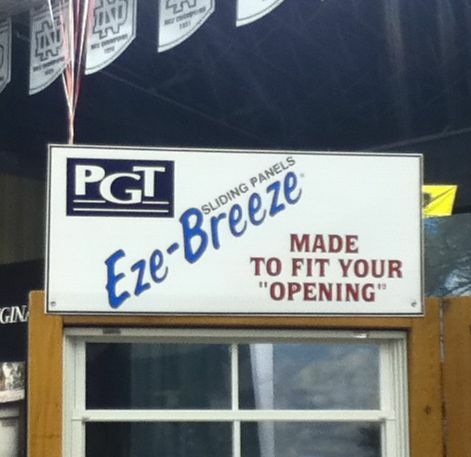 The “Blog” of “Unnecessary” Quotation Marks: made to fit your "opening"
Way to make windows sound dirty, guys. Thanks, Joe. WV: balicals -- That sounds pretty dirty as well. I agree with Bethany, look it's even got a rating in the upper left corner.